Described as "carefully colored" and "sensitive" by The Washington Post in November of 2015, Christopher Schmitt was also hailed as a “formidable talent” and “mature beyond his years” by The Santa Barbara News-Press, regarding his performance of Liszt’s Piano Concerto No. 1 with the Music Academy of the West Festival Orchestra. 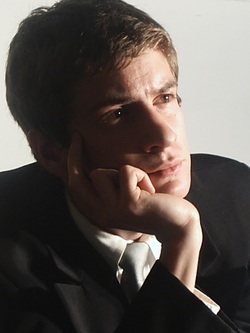 Having completed his doctorate at The Juilliard School in 2016, he has been sponsored for concerts by The Chopin Foundation of the United States in Miami, The Stecher and Horowitz Foundation in New York, Concerts at the Alden Series in Virginia, and for many performances in the Boston, New York, and Washington DC metropolitan areas. In the summer of 2011, Dr. Schmitt performed fourteen chamber music concerts at the Music at Menlo festival, and for the last three summers has performed and taught at the festival Málaga Clasica in Spain, as well as performing in July of 2016 in the inaugural year of his own chamber music festival in Barcelona, Classics in Catalan. Dr. Schmitt currently resides in Washington DC, and as pianist of the "President's Own" US Marine Chamber Orchestra, performs regularly in the White House and in concert halls across the Washington DC metropolitan area, leading a multifaceted career as chamber musician, pedagogue, and soloist.